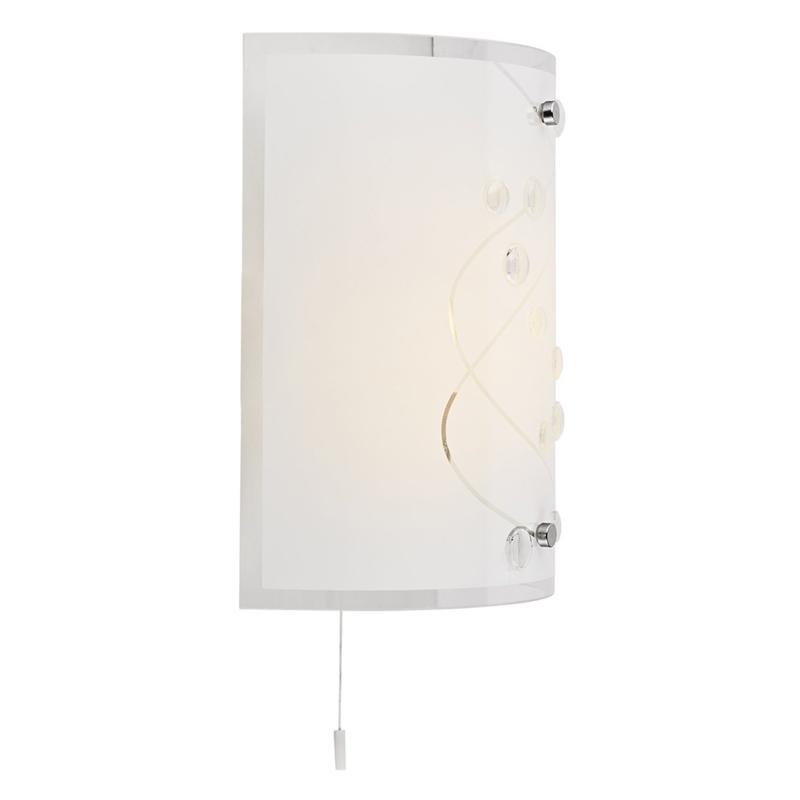 Modern and stylish flush rectangular wall light fixture with polished chrome plated metalwork. 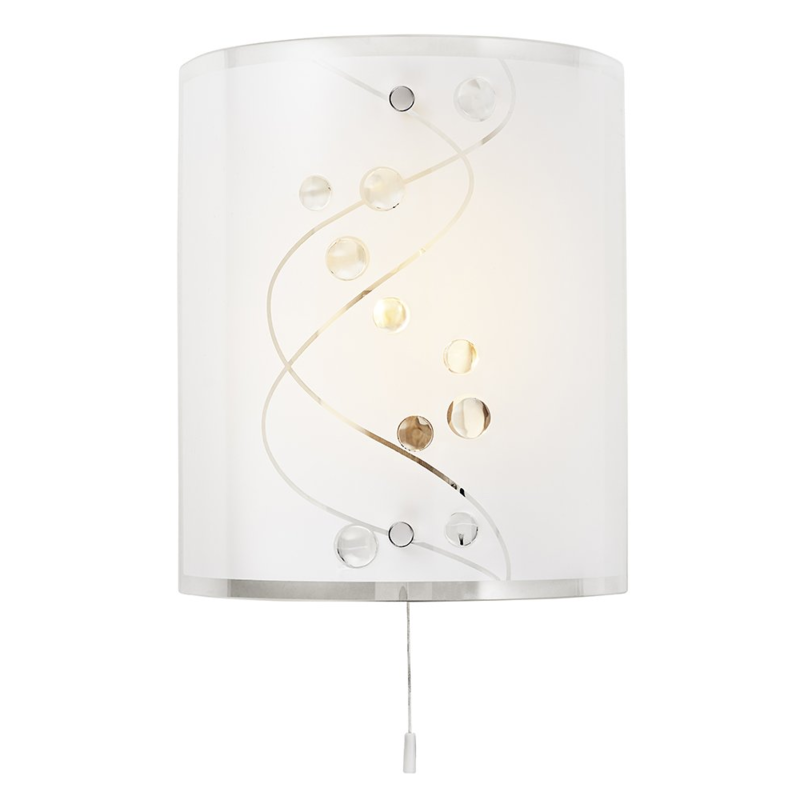 Includes curved opal white glass diffuser shade with multiple clear glass decorative spheres and clear curving lines. Dimensions: Height - 25cm, Projection - 11cm, Width - 21cm. Requires 1 x maximum 60watt ES GLS bulb (not included). Low energy and LED bulbs may be used.